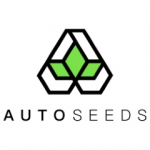 Auto Seeds - Sweet CBD Auto. Free US delivery. Sweet CBD Auto is our most pure CBD rich strain, bred specifically to produce the maximum levels of CBD and almost no THC in a breath taking 2 months. With levels of CBD up to 15% and THC lower than 1%, this super swift autoflower has no psychoactive effects while delivering all the medical and therapeutic benefits of the finest marijuana available. This includes anti-inflammatory and anti-spasmodic properties making it perfect for medical users. Recreational users also love this strain as it means you can go about your day in a completely normal fashion whilst still feeling the calming ease that cannabidiol brings.Overall this strain looks, smells and tastes great. It will grow shorter and more squat then some autos in our collection, topping out between 80-100cm in most setups. The classic indica shaped leaves and close branch distances make it very easy to manage and perfect for areas where space and discretion is key. From the early stages of growth, the sweet orange and tropical fruit aroma is present, becoming more pungent in the last few weeks before harvest.